Glaring afternoons surrender to relief degree by degree during the long, hot days of August. 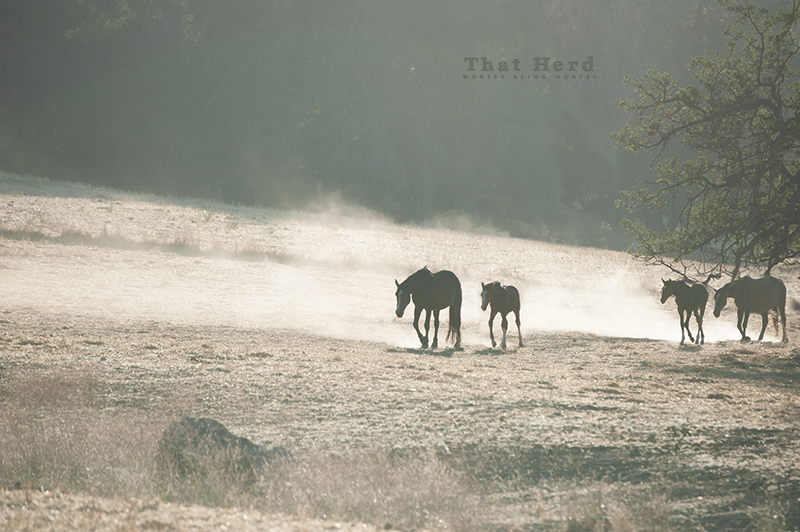 Dust rising from the mare and foal pairs as they amble back to a shady grove highlights the stillness of the retreating daylight hours. September is not likely to bring relief from the heat. Feed and water is scant and the patience of the mares often runs thin with the growing rowdiness and demands of the foals, some now nearing six months of age. The mares and foals make the trek back down to the shade on a still, hot day.